This day contained a lot of driving. It’s a bloody long way from Plymouth to Oxford! 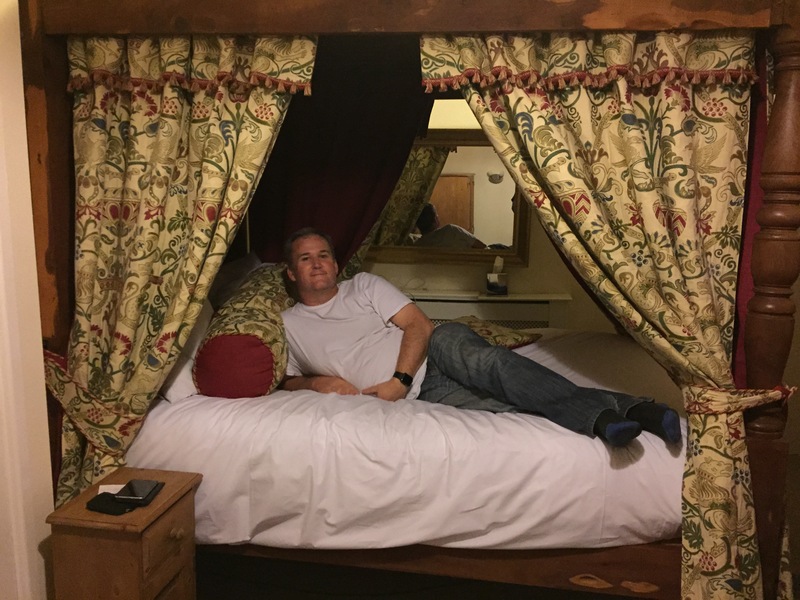 Plymouth to Oxford – a long way! 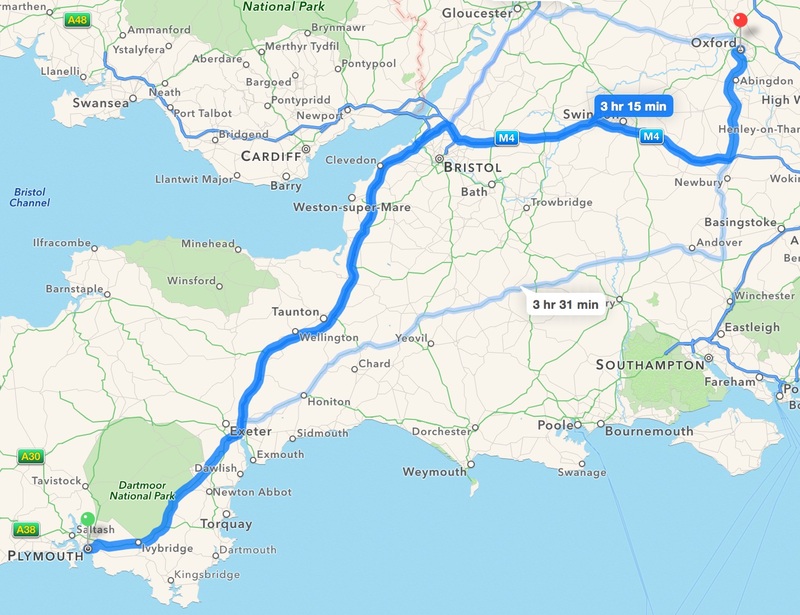 We’ve been taken aback by how big Cornwall and Devon are, and how much slower it is to get around. The roads are much smaller and everything is more spaced out that the north, so there has been a lot of driving. The up side is that the countryside is just lovely. I could definitely have spent more time in this area, but we needed to make our way to the South-East ready for the boat ride to France. 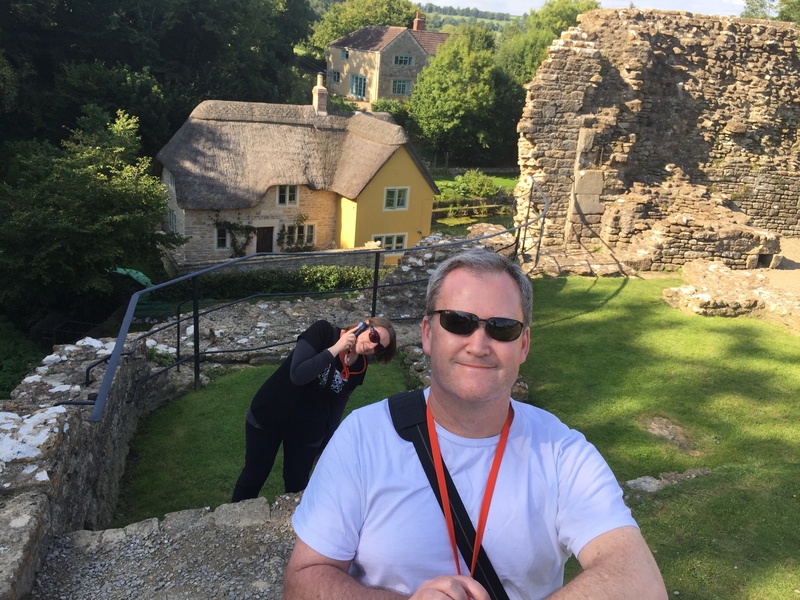 We had a couple of quick stops along the way – Farleigh Hungerford Castle. It’s an impressive ruin – built later than the other ones we’ve seen – in the late 1300s, and more of a trumped up manor house than a fortification. 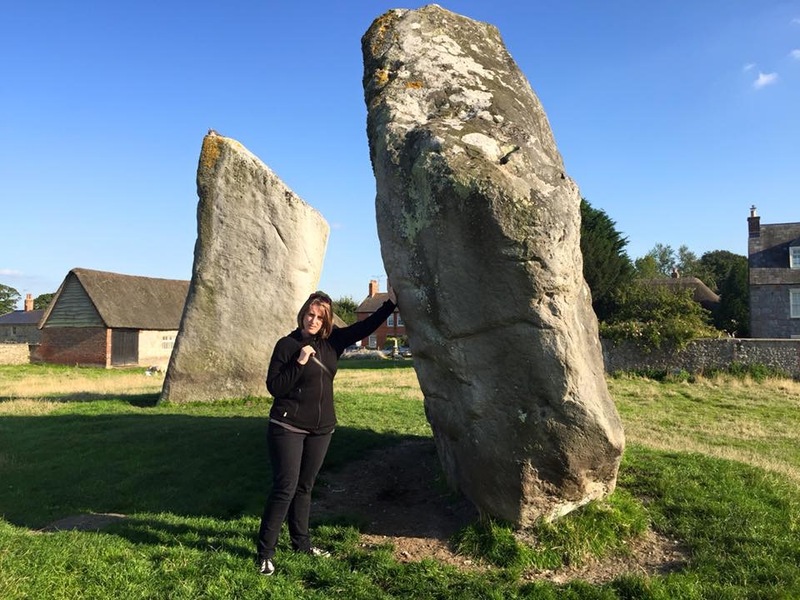 We also stopped in Avebury to have a look at the very impressive standing stones there, and to have some dinner at the local pub. The stones here are quite different from the ones just up the road at Stonehenge, and in a way, more impressive. The stone circle is massive (420 metres in diameter) and the stones are all just sitting in the fields with the sheep. You can walk all around them and get up close – Stonehenge keeps you at a distance (understandably so). Bloody heavy … I could hardly lift it!